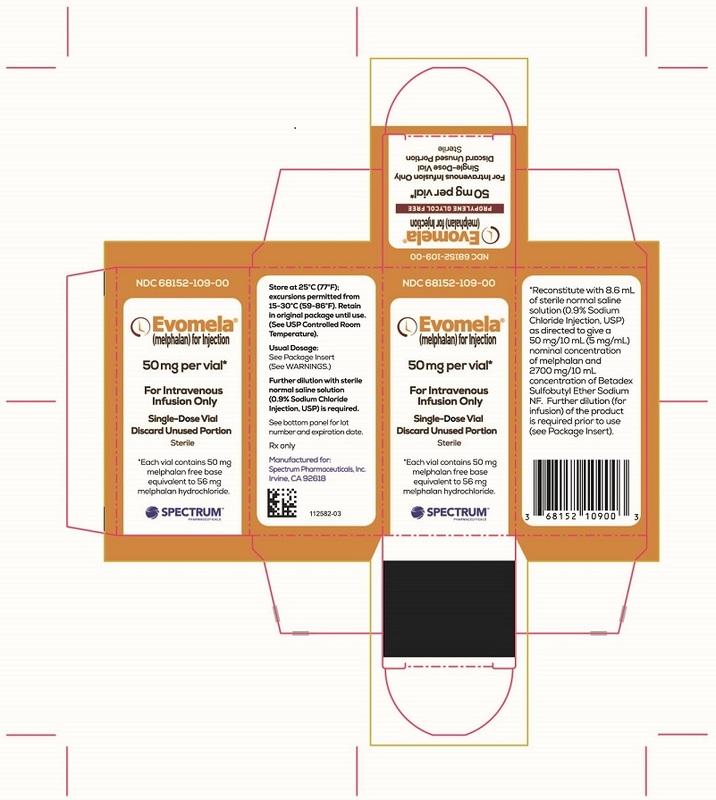 These highlights do not include all the information needed to use EVOMELA ® safely and effectively. See full prescribing information for EVOMELA. EVOMELA (melphalan) for injection, for intravenous use. Use normal saline solution (0.9% Sodium Chloride Injection, USP) (8.6 mL as directed) to reconstitute Evomela and make a 50 mg/10 mL (5 mg/ mL) nominal concentration of melphalan. 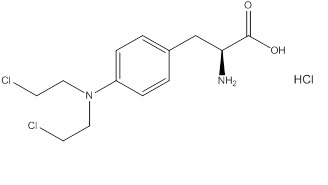 The reconstituted Evomela drug product is stable for 24 hours at refrigerated temperature (5 oC) without any precipitation due to the high solubility. Arm 2: IV melphalan 16 mg/m 2 q 2 weeks x 4 (over 6 weeks) followed by the same dose every 4 weeks.